One of the popular professional wrestler is named as John Cena. He is a Wrestler as well as Actor and Rapper. He has currently signed to WWE where he appears for both the Raw and SmackDown. He is well known American celebrity. He is famous for contribution to professional life. His nickname is The Champ. He is a very talented and skillful wrestler. Passionate and enthusiastic wrestler, John Cena was born on 23rd April 1977. His full name is John Felix Anthony Cena Jr. He was born and raised in West Newbury, Massachusetts city of United States. He is the son of John Cena Sr. and Carol Cena, his father and mother. His nationality is American. His astrological sign is Taurus. His religion is Christianity. At the small age, he began his career with Wrestling. He attended school in Cushing Academy in USA and college in Springfield. Cena has got a great personality. Talking about his body, his height is 1.80 m. His weight is of 113 Kg. His eye color blue and the hair color is light brown. He has a balanced body with good health. He has an attractive body figure. His smiling face and charming personality have helped him to gain the attention of all the viewers. His chest size is 50 in, waist size is 36 in, and the biceps size is 19 inch. In 1999, John Cena started his career to become a professional wrestler in Wrestling through training at Ultimate Pro Wrestling's (UPW) California-based Ultimate University which was operated by Rick Bassman. In the year 2000, April he captured the UPW Heavyweight Championship. In the year 2001 he signed a contract to work at Ohio Valley Wrestling and later he claimed the OVW heavyweight title in February 2002, then made his WWE debut in June. In the year 2003, Cena sought the WWE Championship and chased the reigning champion, Brock Lesnar. But he could not win the title at the event. In the year 2004 and 2005, Cena participated in the Royal Rumble match. On June 6, 2005, Cena was drafted to the Raw brand becoming the first wrestler selected in the annual draft lottery. 2006 ended with Cena beginning a feud with the undefeated Umaga over the WWE Championship. In the year 2007, he became the first wrestler to ever come up victorious against Edward "Umaga" Fatu. On the October 1, 2007, match of Raw, during a match with Mr. Kennedy, Cena suffered a legitimate torn pectoral muscle while executing a hip toss. Cena made a surprise return as the final participant of the Royal Rumble match and won the match WrestleMania title shot by last eliminating Triple H.
On January 27, 2013, Cena won his second Royal Rumble match and later announced that he'd pursue the WWE Championship at WrestleMania. In the same year, 2016 July 19 WWE draft, Cena was drafted to the SmackDown brand, while also defeating Club member Luke Gallows via pinfall in a singles contest. On January 29, 2017, Cena defeated AJ Styles at the Royal Rumble to tie Ric Flair for the most world title reigns "WWE Mythology". On the month of July 2017, WWE dubbed Cena as a "free agent" during the 2017 WWE Superstar Shake-up. John Cena also performed "rap battles", where he and his opponent took turns rapping on each other. In 2005, his first debut film, "The Marine", on October 13, 2006, where his wrestling character was shifted from a rapper to that of a young military upstart. "12 Rounds" was his second film which was released on 27th March 2009. "Legendary" was his third film which was released on 28th September 2010. In 2015, Cena made appearances in the comedy films Trainwreck, Sisters and a cameo in Daddy's Home. In the year 2017, Cena lent his voice for the animated film, "Ferdinand". 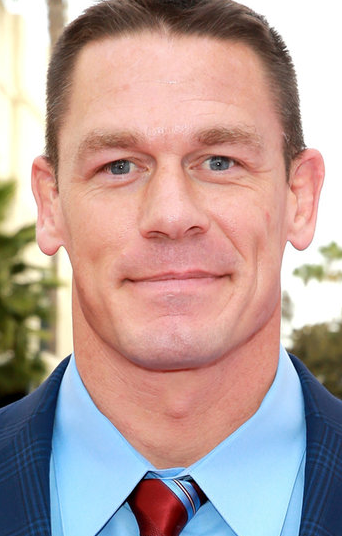 In the year 2018, Cena starred in the comedy "Blockers", and will have a leading role in the "Transformers" spin-off prequel, "Bumblebee". He also wears a variety of T-shirts and baseball caps, which commonly include one of his catchphrases such as "never give up", "you can't see me", and "hustle, loyalty, respect". John Cenais a married man. In the year 2009, July 11 he married Elizabeth Huberdeau. But after some years, he divorced her in 2012, 1st May. In the same year, he started dating Nikki Bella who is a wrestler and engaged in 2nd April 2017. 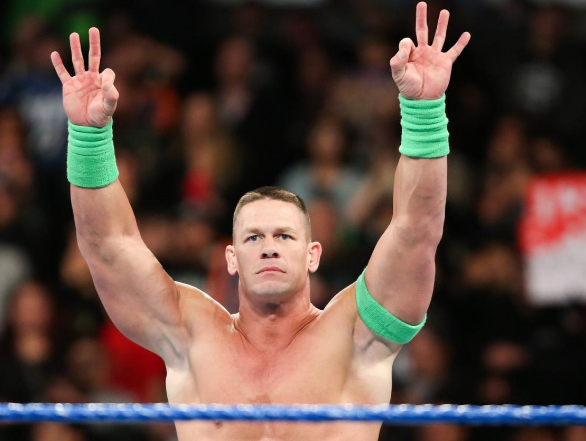 The net worth of Cena is estimated to have $35 million in 2018 with all of his properties and incomes. This excellent wrestler makes good money from his work. His salary is kept in privacy but there is no doubt in the mind of his supporters and followers he is satisfied with his earning. Currently, he is residing in Tampa, the city of Florida.